The late 1980s were not a time to start a business in Calgary; unemployment was up, oil prices were down and the economy was lagging. Despite the less-than-ideal business conditions, Tim Engel and Wes Smith took the plunge, merging their years of experience to create Crestview Electric in 1988. The duo worked hard to build their business from the ground up, working in the field for clients all day and then in the basement office in Engel’s home to take care of administrative tasks at night. Their hard work and quality product earned them their first jobs, and then satisfied clients returned to them for a second and third. Within a year, Crestview had outgrown the basement and had found a home in a small bay in the Foothills Industrial Park. The successful company earned a solid reputation and grew exponentially over the next 17 years. By 2005, Smith was ready to retire and Engel had to decide where to take the company. That’s exactly what they did. Crestview was flourishing, the company had already taken over four bays in its original location and by 2010 it had outgrown the space yet again. Engel decided to build a space perfect for Crestview and in 2012 the company moved into the 8,000-square-foot office with 7,000 square feet of warehouse space on 50 Street SE. The new space ushered in new ways of moving the company forward. Ryan Engel worked his way up from doing inventory, threading conduit and painting scaffolding in his youth to working as a master electrician in the field, running jobs as a foreman, and then 10 years ago moved into the office to learn the ins and outs of the business from his father. Tim handed over the reins about five years ago and after his passing two years ago, Ryan has been working to honour the legacy his father left behind by building Crestview Electric into an even more successful, diverse, forward-thinking company. Ryan Engel has surrounded himself with the best employees in the business, and many of the staff have worked for Crestview for decades. Over the last 30 years, the Engels cultivated a fun, supportive work environment that encourages development and advancement. In the past five years, Crestview grew from a staff of 120 to more than 225 office and field personnel. Engel appreciates the hard work, dedication and expertise each employee brings to the company and credits the staff for the consistent growth the organization has enjoyed. Crestview’s growth has been deliberate and consistent, and the expansion has happened organically to ensure the company’s high standards are never compromised. As it grew, Engel created Crestview Group to better manage the organization’s diverse offerings. The group is made up of three divisions: Crestview Electric, Crestview Building Technologies and CVE Solar. 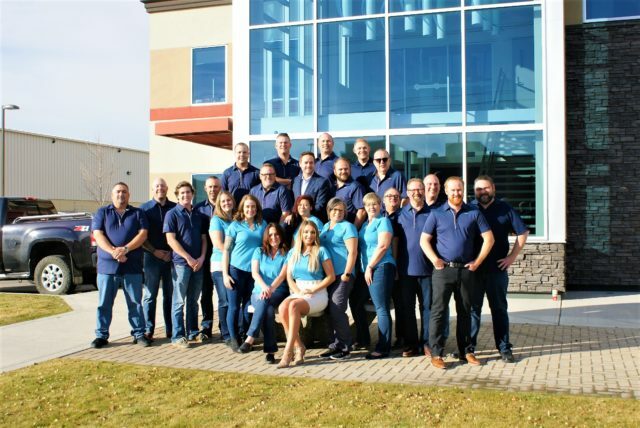 The flagship company Crestview Electric is the commercial electrical division that caters to clients across Alberta with a service department that spans Western Canada. This division specializes in design built, invitational and public bid, management service and maintenance contracts for commercial and industrial projects. Crestview Building Technologies encompasses low-voltage projects including telecommunications, low-voltage lighting and building automation systems. Partnered with Distech Controls, this division focuses predominantly on providing building automation installations for clients, which has been an important value-add service for the electrical division. Introducing these services, especially at pre-construction drawing stages, can eliminate redundancy by providing clients with a single automation system in a build, thus saving them money. “When it comes to cost savings, the value-add services that we can do now that we weren’t able to do before are a real benefit to owners,” he says. The CVE Solar division launched in January and provides renewable solutions to clients. This division is tied closely with the electrical division, as only a certified electrician can install solar panels, but it has proven lucrative enough to warrant a separate division. CVE Solar has been a timely addition to the group as governments are increasingly incentivizing conversion to sustainable energy options. Solar panel technology is improving, prices are dropping and installations are more streamlined making it more convenient and affordable for individuals and companies to combat high electricity fees with renewable energy technologies. 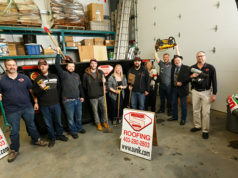 Since becoming president, Ryan Engel has implemented many changes in order to grow the company in the face of provincial economic uncertainty. 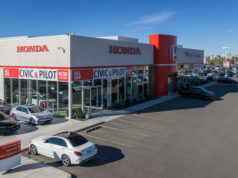 While its business is Calgary-centric, Crestview has also established some national contracts that stretch the company’s scope from Vancouver Island to Manitoba. Crestview selected a qualified group of partner companies that share its philosophy and standards to represent them in these areas. Some of these contracts resulted from existing clients who have interests outside of Calgary while others arose from the solid relationships Crestview forged with former employees and clients who have moved on to other companies. Growth is exciting but it isn’t the main priority for Crestview. Instead, the priority is to provide the best products and service to ensure clients are satisfied. The dedication to clients is what Crestview was built on in the 1980s and it continues to be the foundation upon which every new initiative is based. “Expansion and growth is good to a degree, as long as it’s controlled. We don’t want to turn into a company that is trying to take on too much. We don’t want to try to overachieve only to under-accomplish,” Engel says. To avoid that, Crestview ensures it has the right people in the right positions in order to pursue and excel at the projects they want to do. This adherence to high standards led the group to successfully complete its biggest project to date. The Stoney Transit Facility, built in partnership with PCL, was a 12-month pursuit and an 18-month project that produced a state-of-the-art facility to house 424 buses with 36 maintenance bays, two steam bays and an indoor compressed natural gas fuelling station. It is the largest indoor CNG fuelling facility in North America. The spectacular building is also a LEED Gold project featuring solar panels and a cogeneration backup generator. “It’s one of the most complex electrical distribution systems in the city of Calgary. It was definitely fun to be involved with,” Engel says. Crestview is also proud to be associated with many other projects all over Calgary, working with Seko Construction on the new Desa Glass manufacturing facility, Elan Construction featuring the amazing outdoor lighting display at the Seton North commercial development, Krawford Construction on the Tsuu T’ina Nation All Chiefs Sportsplex, the incredible 254-unit Casadona Place apartment buildings with EllisDon in Seton and the recently opened Calgary Board of Education’s beautiful and modern Joane Cardinal-Schubert High School in Seton. In three decades, Crestview has worked on many iconic legacy projects including Heritage Park’s Gasoline Alley, Nelson Mandela High School, the Calgary Zoo ENMAX Conservatory and the Calgary Stampede Agriculture Building renovation. Moving into its fourth decade in business, Ryan Engel and his team are happy to continue to lead in the industry, staying on the cutting edge of technology to ensure they are best serving clients. Crestview is looking at such technologies as lights that mimic the sun’s different colour temperatures throughout the day to improve users’ health as well as smart lighting that facilitates wireless connections. The low-voltage and wireless side of building technologies are pushing their way to the forefront and Crestview is proactive with updating its processes and certifications to accommodate these developments in the industry. “There’s a lot of advancement and if you’re not on board with it you’re five years behind,” he says. Instead, Crestview wants to be years ahead and to achieve that it has partnered with Bluenergy Solarwind (BSW) on renewable energy. Engel requested a development permit from the City of Calgary to install a BSW turbine outside the office and hopes to have it installed in the early New Year. The two-storey unit features both solar panels and a wind turbine to generate power. This would be the first commercial turbine within the city limits and the first of its kind in the country. These turbines don’t take up a lot of square footage and look like works of art that also save users significant money. Engel hopes this will attract interest and investment from the city. Crestview is excited to install a BSW turbine to study the power output and promote the benefits so other corporations can get involved with their own turbines. 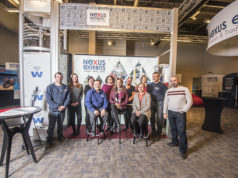 The company is also looking at it as an opportunity to support charity initiatives like Light Up The World, which provides electricity to remote or impoverished areas. Using the money the turbine will save, Crestview will put it towards providing green energy to areas in need. The Crestview Group has changed since opening its doors 30 years ago, but even as the organization continues to grow, clients can always count on the same quality and service. Whether clients have an electrical project to complete, are installing an automation system or are going green, one call gets it all at Crestview Group.